Take control of a heating and hot water system anytime, anywhere via smart devices. 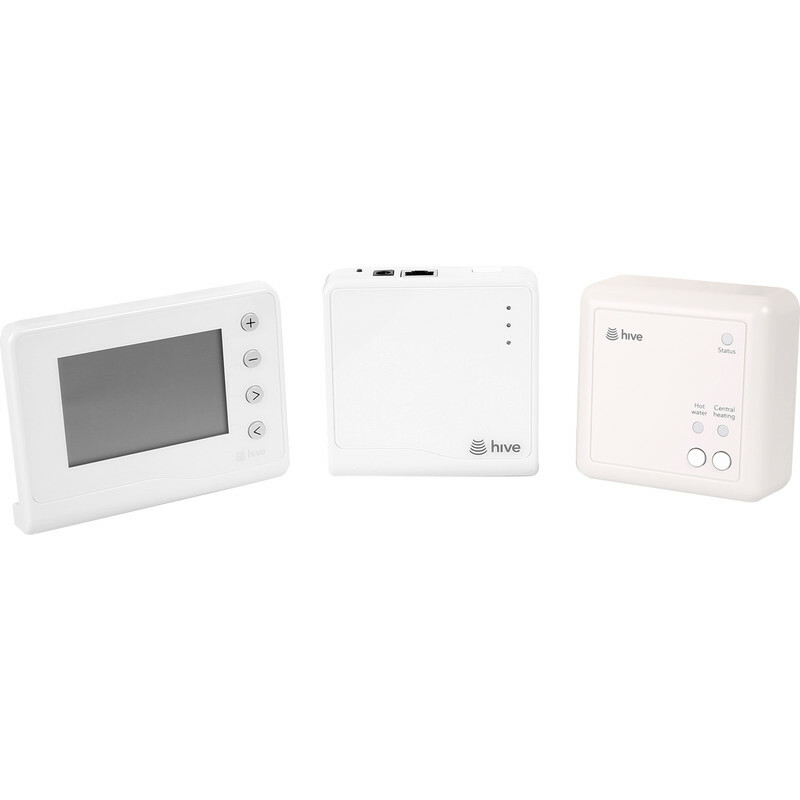 Hub connects via ethernet cable to broadband enabling remote control via Android and iOs devices or in-house control via wireless thermostat. Includes 2 x AA batteries, wireless thermostat, receiver, hub, Ethernet cable, plug, USB power lead and wall plugs. Hive Active Heating must be installed by a qualified professional. Compatible with all current Hive products.